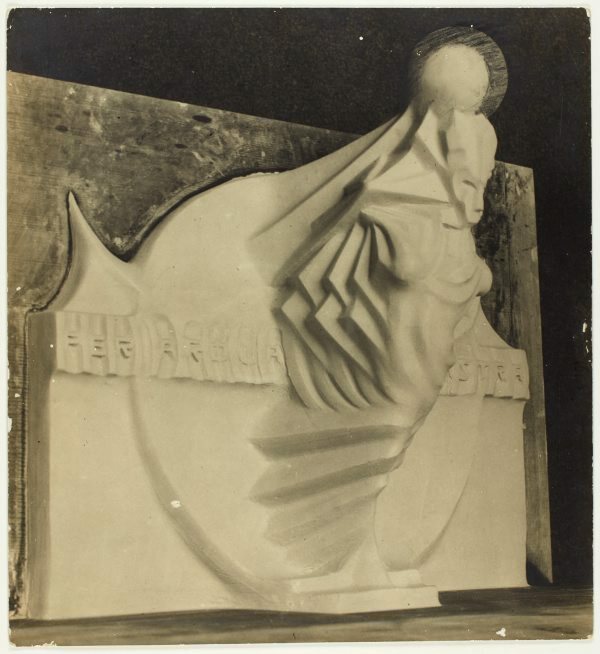 This photograph shows Eleonore Lange’s figure of the ‘Seraph of light’ incorporated into a proposed public memorial for the Canberra astronomer Dr Walter Duffield. Lange envisaged the work executed in glass, with the levered receding wings creating form through refracted light. The memorial was never completed.